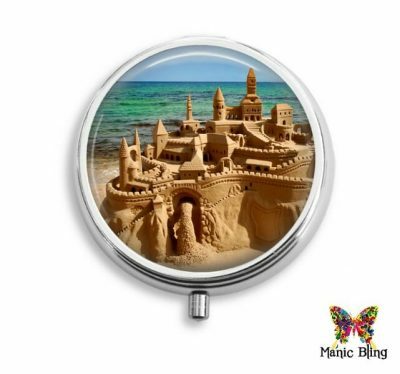 Perfect size for carrying your vitamins, medications, mints, or earrings in your handbag or cosmetic case. 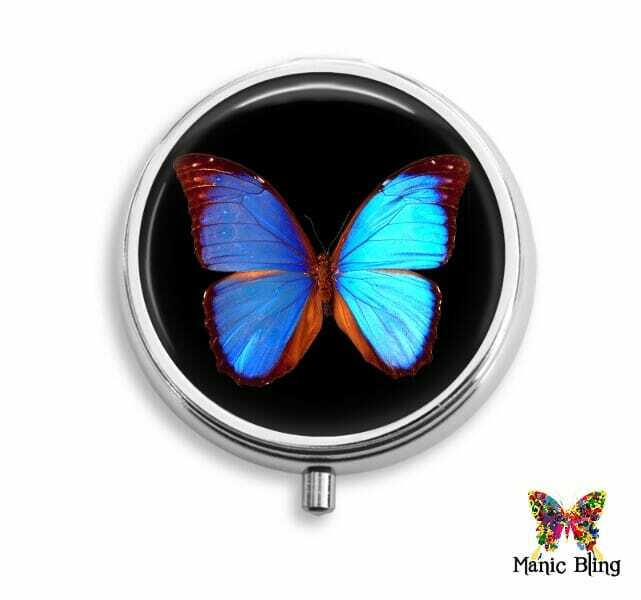 Morpho Butterfly Pill Box has a professionally printed photo sealed under an optical quality glass cabochon. 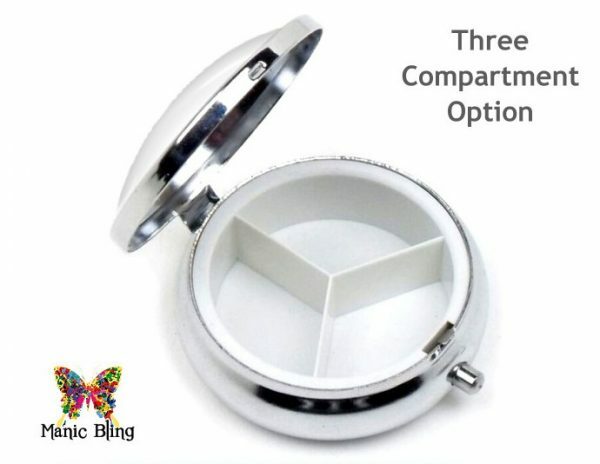 This little box is the perfect size for carrying your vitamins, medications, mints, or earrings in your handbag or cosmetic case. It is both functional and beautiful. It has a push button latch to open the box. 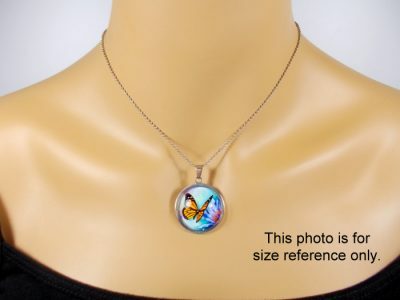 The size of the box is about 1.75″ in diameter. 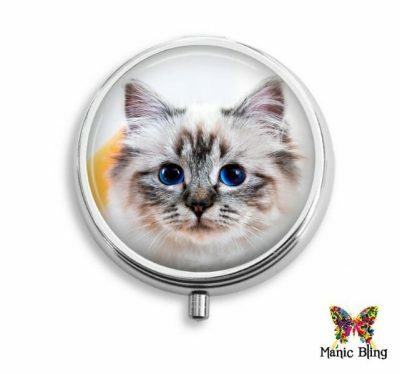 The glass cabochon is 1.50″. 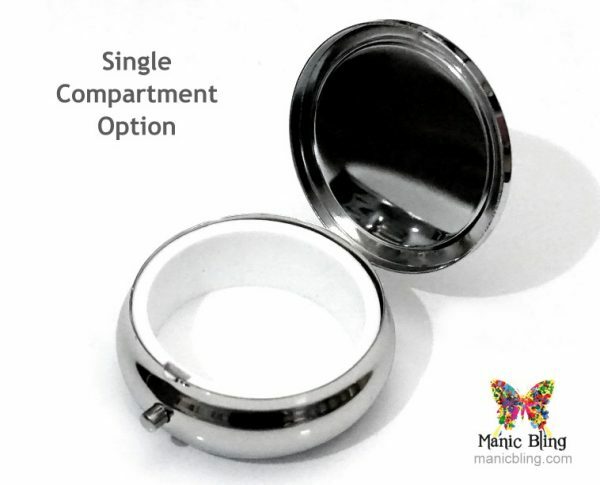 Inside plastic insert has 3 compartments. 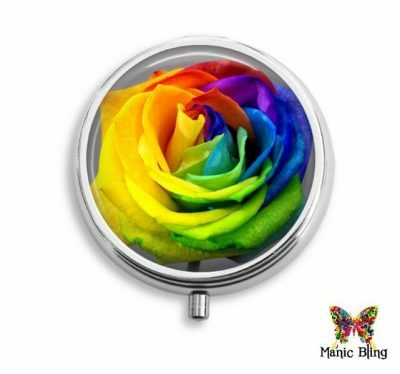 This pill box makes a great gift for any occasion or a gift for yourself, and comes in a Manic Bling gift box ready for giving!